Hero Tech Blog: Batman V Superman: Can a Man Defeat a God? Batman V Superman: Can a Man Defeat a God? Today on HeroTechBlog we'll look at Batman V Superman: Can a Man Defeat a God? Batman and Superman are two of the most iconic superheroes in the world and for years fans have debated who would win the battle between them. Today I would suggest that not only can Batman beat Superman but the caped crusader can still win even if he loses that battle. First, let’s explore the ideology and moral nature of both heroes. Bruce Wayne was born to Dr. Thomas Wayne and his wife Martha. Thomas and Martha Wayne were two very wealth and charitable socialites of Gotham City. Bruce was brought up in Wayne Manor (a huge mansion on the grounds outside Gotham City) where he led a happy and privileged life until his parents were killed by a criminal while on their way home from the theatre. Witnessing the murder of his parents, Bruce Wayne swore an oath to spend his life fighting crime. Born on Krypton baby Kal-El was sent to Earth to avoid the destruction of the planet. After crashing on Earth in a Kryptonian Spacecraft, he was found by Jonathan and Martha Kent (an interesting point that both the mothers were named Martha), who adopted and raised him as their own son, Clark Kent. Clark was raised on the Kent Farm in Smallville, Kansas. While growing up he was taught the values of Love, Generosity, Kindness, Graciousness, Truth, Justice and The American Way. Clark also had to deal with the loss of loved ones and the moral dilemma of not being able to save his father (Jonathan Kent) from death, when it was well within his powers to do so. It is the combination of these experience that make up the unwavering values and moral code of Superman. For Batman, Superman’s ‘Boy Scout’ and optimistic outlook isn't a strength, it is a sign of naivety and a dangerous liability in the hands of an extra-terrestrial with god like powers. With the loss of his parents Bruce knows it only takes an act of random violence to bring one to the edge of ones sanity. What if Kal-El was driven to madness or became frustrated with humanity and sought to protect the world through dictatorship and acts of intimidation and aggression? This is the kind of worst case scenarios that only an obsessive and pessimistic vigilante like Batman can see coming, so it’s understandable that the Dark Knight would take precautions in order to protect humanity from any potential threat from the Kryptonian. Almost everyone would conclude (without a moment’s thought) that the victor, in hand-to-hand combat would most definitely be Superman as he battles with raw physicality and superhuman powers, thus should make quick work of a billionaire in a mask and cape. 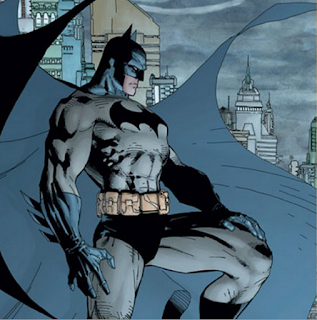 But Bruce Wayne is more than your typical costumed vigilante. He’s a costumed vigilante and genius inventor with access to KRYPTONITE who relies on his athletic prowess, cunning detective skills, tactical savvy and specialised implementation of custom built weaponry. Bruce Wayne has used his wealth, intelligence and a secret division in Wayne Enterprises to create some of the most sophisticated tech gadgets in his arsenal to battle superman. The top two 'Counter-Superman-Measures' employed by the Dark Knight are Power Armour and Kryptonite infused tech. 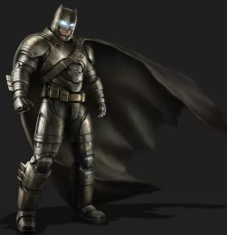 It is this technology and his renowned Utility Belt which houses everything from smoke bombs to liquid capsules which the Dark Knight has infused with Kryptonite from Superman’s home planet that always gives Batman the edge (or get himself out of trouble) when battling the Man of Steel. Even with the use of Power Armor and Kryptonite, Batman has never been able to outright defeat Superman physically – but only subdue him, which begs the question: Why would Batman ever fight Superman? 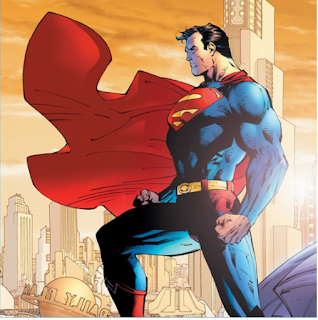 The answer in short: To show the world a human with the tenacity, passion and guile can make, even a god-like being bleed and remind Kal-El that, should the Man of Steel ever overstep the line between do-gooder and protector, heroes can and will rise to stop him. In conclusion a moral, not physical victory is usually the outcome in nearly every battle that Batman and Superman will face (as long as there is no mind controlling factors in place). Given their history and mutual respect for each other, it makes sense that the most important thing Batman may ever do, is keep Superman grounded - even if the Bat has to take a beating in order to secure an ideological victory. Bats will win, becouse witers are humans and humans like to be on the winning side. How many movies are there where alians win ? "To show the world a human with the tenacity, passion and guile can make, even a god-like being bleed and remind Kal-El that, should the Man of Steel ever overstep the line between do-gooder and protector, heroes can and will rise to stop him." i think doomsday is going to be a problem for superman in this movie. After Reading this great blog post, I looked up and watched Batman: The Dark Knight Returns (both parts) and the movie Batman V Superman made more sense to me. I loved the movie. And this is a great article.